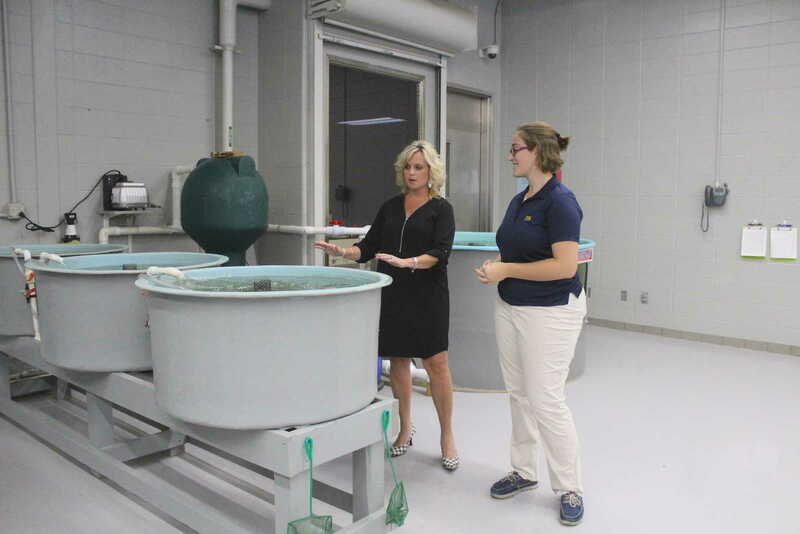 Indiana’s State Superintendent of Public Instruction Dr. Jennifer McCormick (left) with South Putnam High School senior Savannah McIntosh at the school’s aquaponics facility. Here they are pictured by the fish nurseries. Photo via bannergraphic.com. 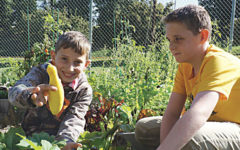 Urban agriculture projects in high schools are helping students and communities alike. Aquaponics is a form of urban agriculture that leverages an ecosystem between fish and plants to sustainably grow crops (modern-day fish nurseries pictured above). Historians estimate that systems of this nature have existed since around 5 AD when Chinese settlers used aquaponic strategies to grow rice and raise fish. In an aquaponics system, nutrient-rich fish waste from the fish tanks is used to feed plants. This helps the plants grow strong. In turn, the plant roots purify the water, which– depending on the setup– is then recirculated back to the fish tanks. 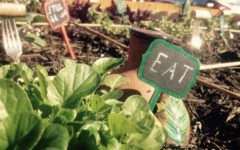 As TangoTab continues to grow, we are supporting urban agriculture projects through funds generated from the app. 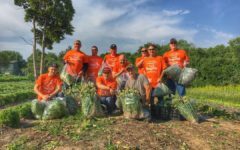 We are committed to empowering communities to fight hunger with sustainable solutions that provide fresh food to those in need. 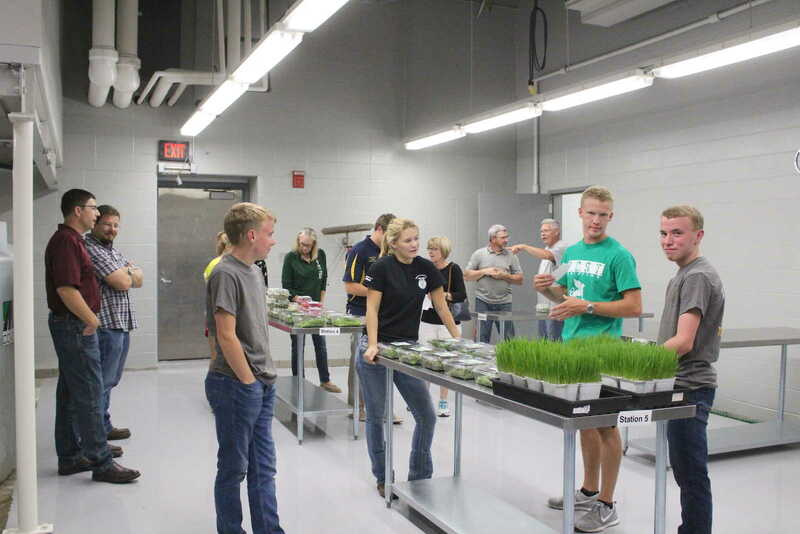 South Putnam High School in Indiana has opened an aquaponics facility on campus in order to grow food and teach students about sustainable urban agriculture. One of the school’s graduates, Eric Curran, is the Director of Operations at an aquaponic company called Falling Water Farms in Indianapolis. Curran and Falling Water Farms have worked with the school to setup the infrastructure so that students have the opportunity to learn about and manage the system while also training for post-graduation job opportunities. McIntosh (left), Ag teacher Amanda King (middle), and Dr. McCormick check out herbs growing in the facility. Photo via bannergraphic.com. The facilities are designed to allow interested students to go straight from high school to a job at Falling Water Farms. 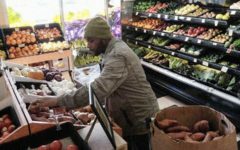 Projects like this offer an especially important opportunity for students growing up in food insecure homes who need to find a good job after high school graduation in order to support themselves. When children growing up in food insecure homes graduate high school, their financial situation typically doesn’t change unless they find employment. This makes choosing to go to college a difficult decision. On one hand, college offers training for future opportunities. 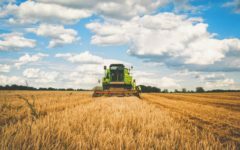 On the other hand, college programs are typically very expensive– studies today estimate that nearly half of all college students face hunger or food insecurity at some point during their academic careers. 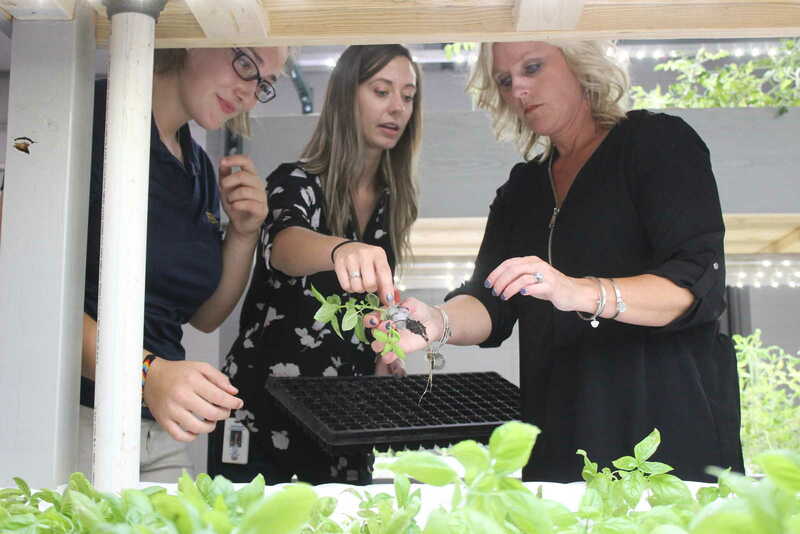 For the kids at South Putnam High School, the aquaponics facilities offer an opportunity to learn about food sustainability, eat well, and train for a future job to help them achieve independence after graduation. You can read more about their facility here. Students, parents, and teachers stand by the packaging and labeling area of the school’s aquaponics facility. Photo via bannergraphic.com.